Continuing the #write31day challenge . . . you can find the entire series here. Arguably the most recognized of all the Psalms, I couldn't possibly offer anything here about Psalm 23 that hasn't already been said, except maybe this: if you haven't read Phillip Keller's A Shepherd Looks at Psalm 23, I highly recommend you do. You are an unending soul and you have an appointment with the Most High God. I'm not going to go into the tribal history of Psalm 83. The truth is, Israel had a lot of enemies then and they have those same enemies today. If you are a Christan, Israel's enemies are your enemies. Let verse 8 be a caution to you. The enemy sometimes comes from within. The key verse here is verse 16, "Heap shame on their heads until, Lord, they seek Your name." Remember, God is not willing that ANY should perish. 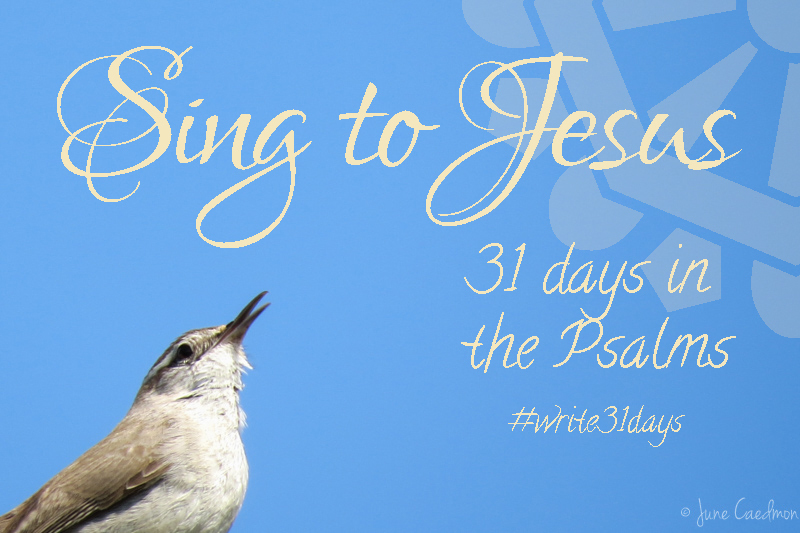 Psalm 113 is a sweet song to sing to Jesus today. The last verse is one that I long-prayed over a barren friend who now has more children than she knows what to do with. Her womb remains barren but her heart and her home are full. For those whose spirits are failing, whose hearts are numb with despair, Psalm 143 offers comfort and hope for you today. Revive me, Lord, for the honour of Your name; be my Deliverer; release me from my distress.